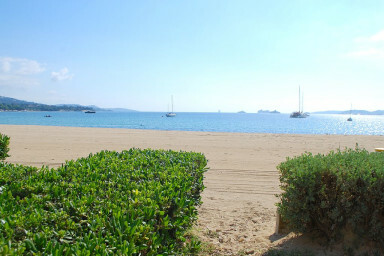 Choose an idyllic waterfront location with a terrace on the beach and relax. Charming vintage-style 2-room apartment with a direct access to the beach perfect for relaxing holidays. It is located on the ground floor and is composed of a living-room with an open kitchen, a bedroom with a large bed and a shower-room. The living-room has got a corner sofa where two people can sleep on two single mattresses. A large terrace with a direct access to the beach. Sea view and beach in front of the apartment. 1 parking space on the main parking.